This volume includes an articulation test, instructions for teaching every speech sound, practice pages and drills for every sound, over 600 picture cards, and dozens of practice games. You will find this to be a huge resource for helping your child correct his or her speech errors. 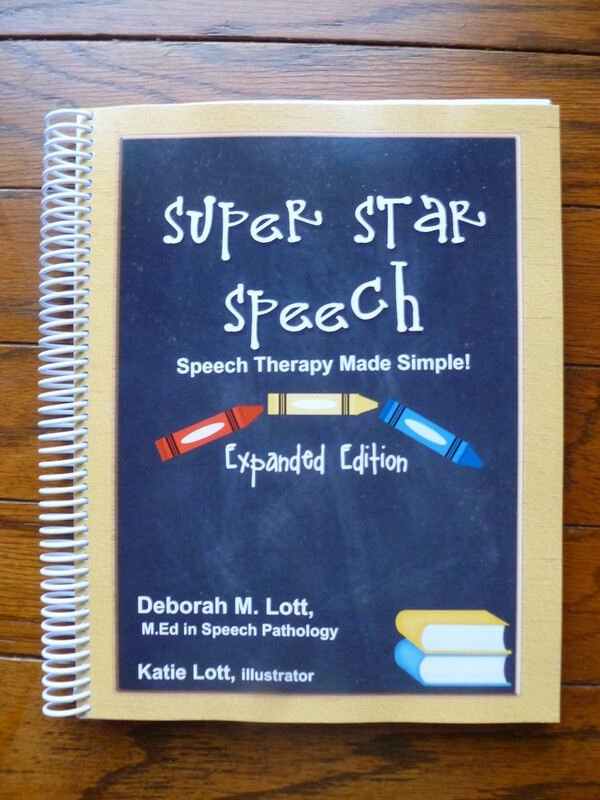 Have you ever wondered if you can give speech therapy at home? Since I began homeschooling 5 years ago I have thought about it quite a few times. Four of my eight children have had problems with their speech over the years. Two of them were in public school and received therapy there, but the other two have always been homeschooled. What then? How do you know what to do if you have no experience yourself? ...I sure wish I had this book many years ago for my older kids, but I'm thankful to have it now. The book begins with an articulation test to determine the sounds your child needs help with based on their age. I already knew my 9 and 6 year old had problems with the /th/ sound, but I also discovered my 6 year old needed work on a few other sounds as well. Permission is given to copy the forms in the book so you can use them with more than one child if needed. She helps guide you as you form a therapy plan just right for your child's needs. Deborah uses games as a way to practice troublesome sounds. My 6 year old especially enjoys this time spent alone with me. Deborah's advice to practice with both of us facing a mirror has been really helpful for my 9 year old son. He has always been a visual learner, so it makes sense that he needed to see a mouth forming the right sounds with the lips and tongue. I was correcting them a lot at home before, but now they have begun to realize when they make the wrong sound and stop and say it the right way. ... Super Star Speech is easy to use and understand. I really appreciate how it is written so I feel like I know what I am doing when we practice. There are no fancy technical words that the average parent, like me, wouldn't understand. Best of all it works and I am already seeing improvement after just a month. It is worth the time investment! - the articulation test is a great way to collect baseline data and/or to reassess students as they continue to make progress with correct production of their sounds. - it covers such a huge variety of skills, from eliciting production of individual sounds, to using words with targeted sounds in sentences. - it includes lots of versatile activities that can be given as simple homework practice. I received the E-book version. What I did was print all 315 pages. This was my ‘teacher manual’; I printed pages for each child as they were needed. In my book I would write notes, their progress, and things I wanted to remember for our next lesson. For every letter there is an introduction of how that letter(s) is produced. This is when you want to use the mirror so you can make sure that you and your child are producing the sound correctly. Miss Lott gives detailed instruction so you know where to place your tongue, position lips, and/or teeth are open or closed. 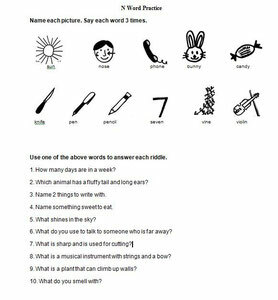 Once you have read the introduction and tips you are ready to use the worksheets. Some are interactive and have the child trace a row of letters with their finger, when they come across the sound they are working on they say that sound. Another activity is to circle the picture that has for example the ‘ch’ sound and they are to say the sound five times. 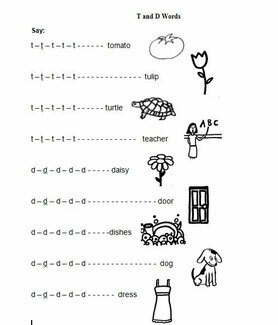 There are also Practice Pages that are done orally with the child. Deborah did a wonderful job with keeping the program engaging and fun. There are tons of games which if needed gives further practice for the particular sound your child is working on. You can have your child color and glue them to a file folder or put them together before starting the program.
. ..I noticed that after a few weeks of Super Star Speech my daughter would pay more attention to how she pronounced words. She would often notice herself because we had worked on a certain sound. With my 8 year old son Super Star Speech gave me the tools to really find which sounds we needed to work on. With my daughter I knew where to start her right away but with my son it was a bit harder for me to pin point. This is where the Articulation Test was really helpful. ...I would highly recommend using Super Star Speech. I know it has helped both my children and as their mom, it gave me the information and tools I needed to help them. (Ren) This is really helping my 5 year old daughter with her sounds. The only letter I haven't be able to teach to the point she says the sound correctly is the "k" which I will pay for a speech therapist to do. I am just so happy to have saved on lots of time and money of being able to work on all the other sounds at home. (Carley) It has really helped me ,as a parent, identify what my son needs to work on, and how to help him, while still keeping it fun! (Karen) My six year old daughter was having trouble pronouncing "S", "Z" and "R". She was conscious of the fact that she was doing it wrong, and somewhat embarrassed by it. My husband and I, who have both taken college level phonetics classes, weren't getting anywhere with her. Every time we would sit down with her and try to correct her pronunciation, it would just end in tears for her, and frustration for us. We live overseas and have no access to a speech therapist, so we were beside ourselves as to what to do. When we were back in the US for a few months, we tried a few speech books in the library, but we weren't thrilled with anything there, and nothing seemed to help. A homeschool magazine that we subscribe to had an add for "Super Star Speech" and we decided to try it. It worked wonderfully!! I spent about half an hour reading through what I needed to know in the book, and then sat down with my daughter and explained things they way they did in the book. She loved it!! We did the activities together, we practiced words together, and we had a lot of fun learning. Within the first week she was pronouncing the first sound correctly and starting to try to use it in her regular speech. Every day she asked to do her speech. My older daughter saw the games we were playing, and asked if she could play too. This book is fun, interactive and educational!! It is well worth the purchase!! (Rebecca) I appreciated that the book also laid out what age a child should typically have mastered each of several trouble sounds, so that I knew that some of my son's articulation errors should not be as much of a concern yet, and also knew which ones to concentrate on first. There is a wonderful variety in this book. For each sound or pair of sounds that may need to be worked on, it has specific instructions and suggestions for helping your child understand how each sound is formed, a word list using those words, a practice section, phrases or sentences, and activities to make it fun. There are also many, many pages at the back of the book that contain an interesting collection of different games and picture cards, that can be pulled out to use as is, or photocopied for lamination if desired. I was able to tailor some of the games to the sounds my son needed to work on, even though not originally intended for those sounds. This book is versatile and easy to adapt. My final assessment is that I would definitely recommend this speech therapy tool to other parents to use on their own or as a supplement. My son's speech articulation errors have been improving, and I can see it will only progress with more practice. Like anything else, it will take time and effort, but it will be worth it as your child is able to communicate more successfully. My son enjoyed picking which game he wanted to try next after doing his practice activities. He was having fun, and did not even realize we were "working" on his speech...he would even come to me in the morning and beg to be able to "play his games"! Another thing worth mentioning is that this book can work for more than one child if there is a need, as it can be tailored to fit each individual's needs. The cost is very reasonable for what is contained in this one book...I highly recommend it! (Amazonian) This is one of my "go to" books that I use for articulation therapy. 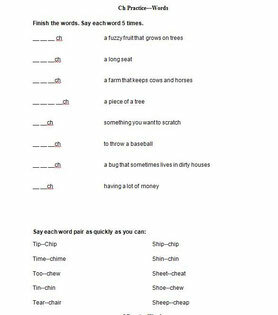 It can also be used as homework sheets for extra practice of target sounds.